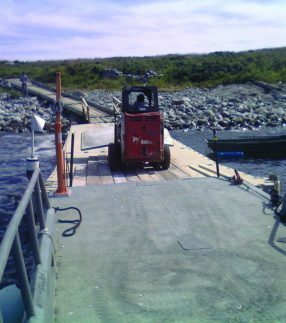 EZ Dock’s Floating Work Platforms for On-Water Construction are the durable and highly flexible floating work platforms that help you get the job done. 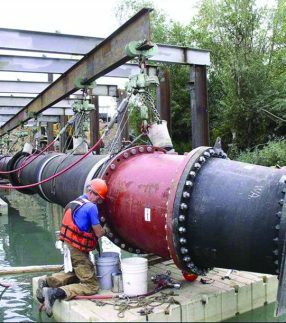 Strong and durable, they are rugged for many commercial and construction applications and can be customized for your specific site. Whether you need to stabilize equipment, move parts, access a remote job site or get a crew to a job site, these floating workstations let you get to work with less worry. EZ Dock’s Floating Work Platforms have customization options if you need extra surface area or have specific job needs. All our work platforms offer the stability and portability you need. Our work platforms have weather resistance built right in. 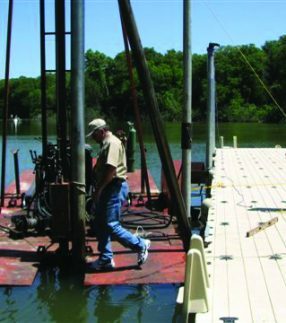 In various marine environments, our durable materials mean EZ Dock platforms can handle the climate. Our platforms have been used all over the world and have been trusted by the military and by governments when the jobs have mattered. Tested under the most rugged conditions, our platforms stand up to the elements, including hot weather, rough waters and freezing conditions. EZ Dock platforms float above freezing water, separating your crew from chunks of ice in the water. Our platforms also handle high heat well and the surface transfers less heat thanks to the materials used. 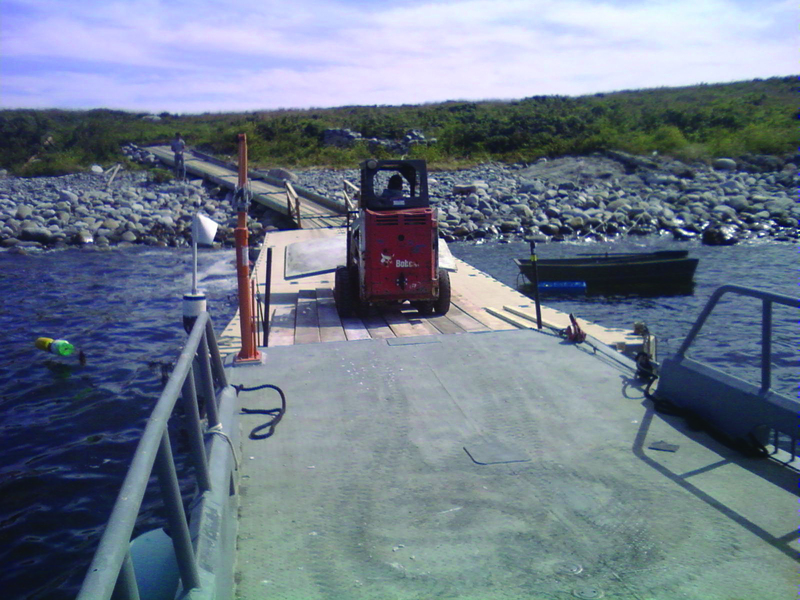 The platforms can be broken down into sections and can be transported to the job site via truck or even on a ship. Light weight and easy to set up and dismantle, they go where you go. 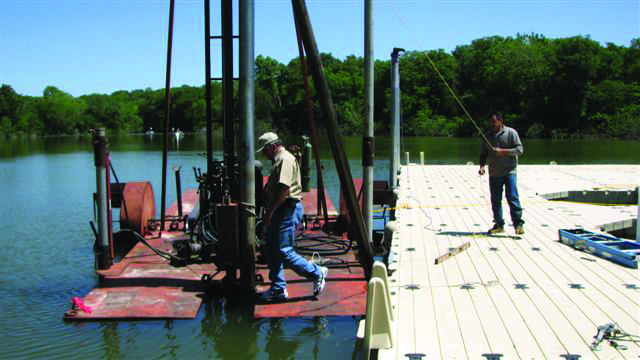 Once your crew has the basic training, they can quickly break down or set up an EZ Dock platform in a timely fashion. Most will require only two crew members to set up. EZ Dock work platforms are designed to offer stable performance. They help your crew stay stable at work and protect your equipment and parts on the water. Each job site is different and EZ Dock makes it easy to create the platform you want. Whether you need a larger platform, one designed for specific atmospheric conditions or an irregularly-shaped work surface, contact EZ Dock to discuss your options. 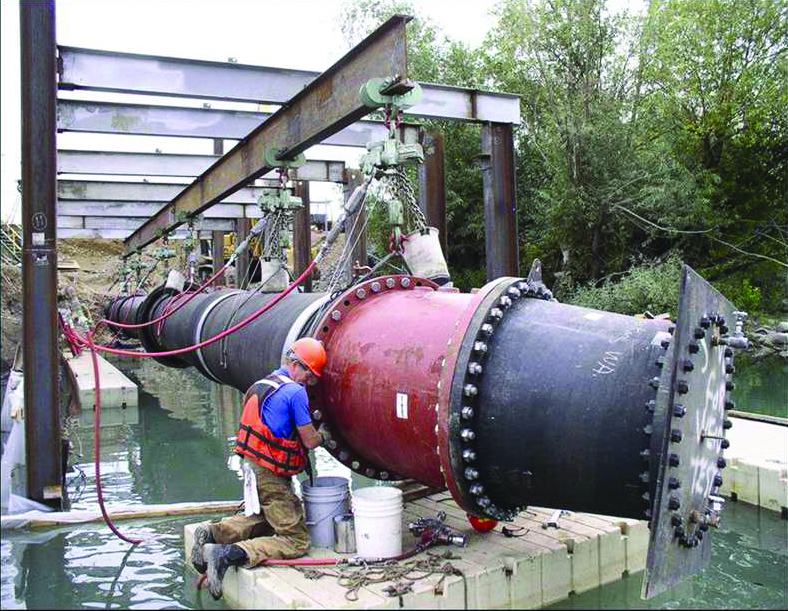 Known for our attentive and knowledgeable customer service, EZ Dock would be happy to discuss your needs and come up with solutions that meet the job requirements. Contact us today to discuss how our product offerings can help you develop the floating work platforms you need to get the job done. Contact your EZ Dock dealer for ideas on how to use our modular dock system for your construction business.